I wrote a few years ago about Teleduino project for making IoT using Arduino at Teleduino IoT API for Arduino article. 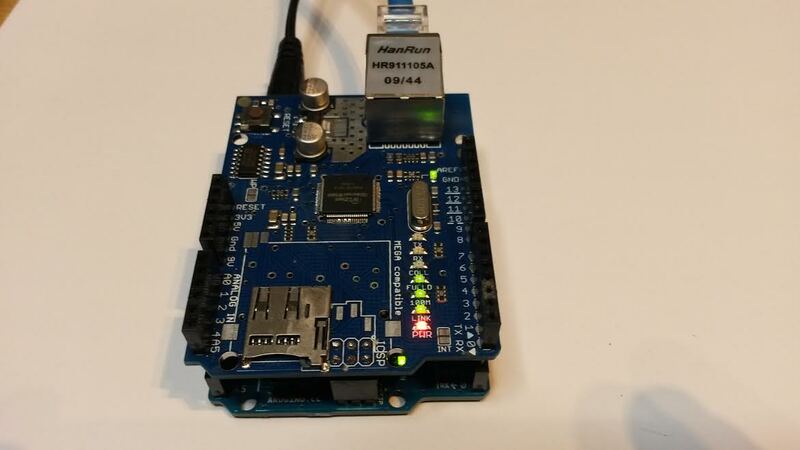 This article described connecting Arduino to Internet and controlling it with web browser URLs. The article also mentioned that there is an Android App Teleduino Controller. The Teleduino Controller application is used for remote control of the Arduino microcontroller via the Internet via a computer. Information on the Arduino microcontroller configuration can be found on the Teleduino project website . Before configuring Arduino, you must first obtain a unique key on the Request Key page, which will be used to identify the Arduino microcontroller on the Internet. This key is used both during the Arduino configuration and in the Teleduino Controller application. I invite you to test the application, in case of comments, please contact us . This looks like quite easy to use Arduino control software. The basic look is pretty similar to Toolduino that allowed controlling Arduino through serial/USB port. This Teleduino Controller now makes the controlling though Internet using Teleduino API. The software was designed to run on Windows computer (worked on Windows 10). The software itself was written using Qt. The software came in pretty big .zip packet (big because included many big .dll libraries). I quick testing the Teleduino Controller seemed to do what it promised. I could use it to read digital and analog inputs. I tested also that I could control PWM outputs nicely. It had also servo output option, but I did not test that. What I was missing was how to control digital outputs on/off – was that functionality missing or did I not figure out how to do it.